Last day - I'll do the reveal tomorrow (Tuesday). At the moment things are nicely split between - two clear leaders, three who are decidedly unloved, and the rest quite clearly grouped together in between. I apologize I wasn't able to complete it in time. Unloved are 1 3 and 5, that is, Paavo Berglund, Okko Kamu and Neeme Jarvi. Two Finns and an Estonian neighbour. "playing is not always totally together, textures are a bit muddy." Helsinki PO (1984) (EMI) 21:19 So an all-Finnish combination. Perhaps I should have used this version - but it looks rather quick. LPO Live (2003) 22:41 So the version used here is the most recent and also by some margin his slowest. "A bit more muted than either of the previous." "Build up isn't really allowed to bloom at the top - not like #2. And then release lacks as well." This is I think the most recently-recorded version here. The modern BIS recording has great transparency and even in the busiest passages every detail can be picked out. Kamu's Sibelian pedigree is good, as a much younger man he recorded Symphony 2 with the Berlin PO on the DG label. The pacing here is right in the zone and I'm rather surprised this recording didn't do better. Like all the recordings except nos.2 and 8 this one is part of a complete symphony cycle. "this makes a lot of very specific musical statements that are quite interesting." An Estonion conducting a Swedish orchestra - so not Finnish, technically not Scandinavian, technically not Baltic - ah, Nordic, that's the word I'm looking for, it's a Nordic combination. What could possibly go wrong? But the string sound on this older BIS recording is decidedly odd - mastered for vinyl maybe? Jarvi is also one of the quickest in this comparison, but it kinda works, for me. Next up, the group of five also-rans. Knew it. I really like his first recording, so it's a shame he had to be represented by that one. Sorry about that. If I had picked a different version to represent Berglund, it would have been the interesting Chamber Orchestra of Europe one. and heading this group, Oramo/CBSO/Erato. Three more Finns, an American and a Russian. "It is light to the extreme, not weighty enough somehow, feels rushed." "again one hears excellent playing in the antiphonal section." Ashkenazy is the fastest of the ten. His older recording with the Philharmonia is almost 2 minutes longer and, in hindsight, probably preferable. "the drama at the end, again, is more subdued than in other versions." "Lighter, leaner feel. I like this." 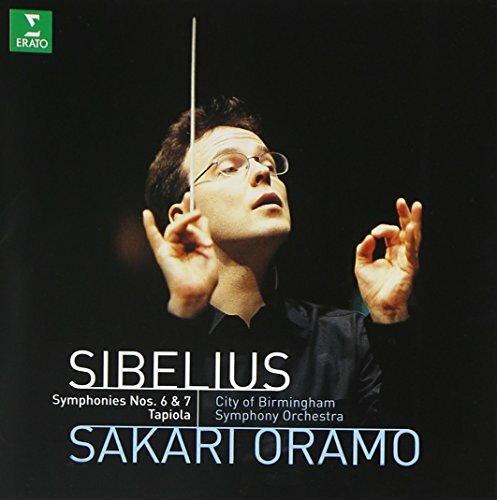 This recording - another all-Finnish combination - is the BBC Building A Library top choice for this symphony, and is loved by reviewers in general. And is ukrneal's 2nd choice. I find it middle-of-the-road in all things which is perhaps the whole point in this so-called 'organic' music. This entire Vanska symphony cycle plus other orchestral works well recorded on BIS is usually available at a super-bargain price. If you want to acquire some Sibelius this cycle has to be a top recommendation. Vanska has subsequently re-recorded the symphonies, with the Minnesota Orchestra, again on BIS. WHY?? "this is an extreme, like each phrase has been taken out and spit polished and put back on display with a spotlight over it." "Generally good though a bit exhausting on the ears, even after just 5 minutes." Bernstein conducts the slowest version of the 7th in my collection of about 30 recordings. This recording, made shortly before the conductor's death, runs to an almost painful 24:47. I generally like slow, and I do like this one - and it's Mahlerian's 2nd choice - although the recording is unfortunately not DG's finest. It's usually available in a set of 1st, 2nd, 5th and 7th symphonies, an unfinished cycle. The broody moody 4th symphony - the dark heart of Sibelius - would have been a wonderful thing, had Bernstein been spared a little longer. He did of course record a complete cycle with the NYPO about 25 years earlier, still available and remastered. "Didn't really like certain details, but it creates an effective view." "The opening is very good, as is the middle part, and the dramatic build-up in the next part rivals that of II! Excellent overall!" Segerstam with a Danish orchestra qualifies as a Scandinavian combination. And, actually, the highest-ranked such in this comparison. Something about the '90s Chandos sound suggests 'expansive' but actually his timing is exactly on point (and exactly the same timing as the eventual group winner). Like Kamu, I'm surprised this didn't do better, and it was Cato's 2nd choice. Segerstam has also recordecd the 7th with the Helsinki SO on Ondine so that version may be preferred although it is about a minute faster. Incidentally Segerstam is the Building A Library 1st choice in Tapiola - which is sometimes billed as "Sibelius' 8th" (though personally I find it a rather uninteresting piece of music). "love the characterful winds! Elegant, and phrasing/accents just all make sense. Love the quick scherzo tempi. Great balance when the brass come in." "The individual strands of the music feel alive here." Rattle/CBSO was sadly squeezed out of this comparison, and his new BPO 7th - which has been reviewed as the best in that cycle - is out of my price range! Magi is one I discovered only while preparing this comparison, and although he is very quick (20:50) I really like this recording and would set it up alongside my own favourites as an alternative take. After Oramo, there is a clear gap in the rankings, then - two to go! As the clear frontrunners, little to choose between No.2 (ukrneal's 1st choice) and No.10 (Senta's and Cato's pick, and never lower than 4th). "One can really feel the long line here. Build up and release are extremely well done. Bravo." "The crescendos are CRESCENDOS!!! " Huh - not a Scandinavian connection in sight! Recorded as long ago as 1967, and by a long way the oldest recording in this comparison - but you'd never know. A lengthy timing and a stately approach throughout that I think fits this music really well. Only Bernstein/VPO and Georg Tintner are slower than this in my collection, and neither of those are convincing all of the time, in the way that Karajan is here. 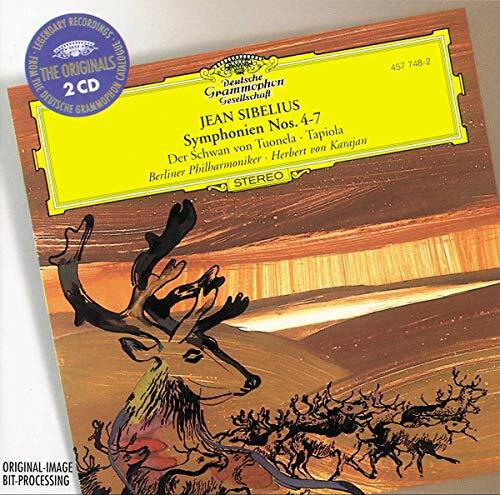 This was Karajan's second recording of the 7th - but he was an advocate of Sibelius' music at a time when the composer was almost falling into neglect - there are no less than eight Karajan recordings of the 5th listed, and his recordings of the brooding but problematic 4th set the gold standard for more recent interpretations. Credit to HvK for the level of acceptance that Sibelius enjoys among music-lovers today. Surprising then that this is an incomplete cycle - though DG have added the first 3 symphonies conducted by Kamu (see above) to make a set. "this one is also making more extreme and specific statements." "the playing in the antiphonal section contains more drama and intensity than other versions: this is no tippy-toe ballet music. The dramatic climax is just that!" 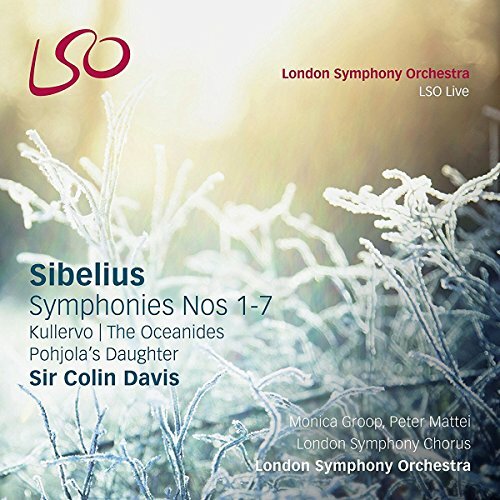 Yet another recording dating from 2003 and part of a cycle that is Davis' third Sibelius cycle, the previous two being the LSO and the Boston SO. The LSO Live soundscape is sometimes criticised as being a bit dry, but I must say I don't really notice a problem here. This complete cycle, which includes Kullervo and some other orchestral music, is sometimes available at a super-bargain price - in fact while preparing for this comparison I obtained the whole lot as downloads from Amazon UK for just over £5. This 7th has a 'sweet spot' duration of 22:08 - identical to Segerstam. Davis/LSO Live has some remarkable Building A Library palmares - top choice in the 2nd, 3rd and 5th symphonies - the BBC showing a bit of an anglo-centric bias, methinks! A great read. 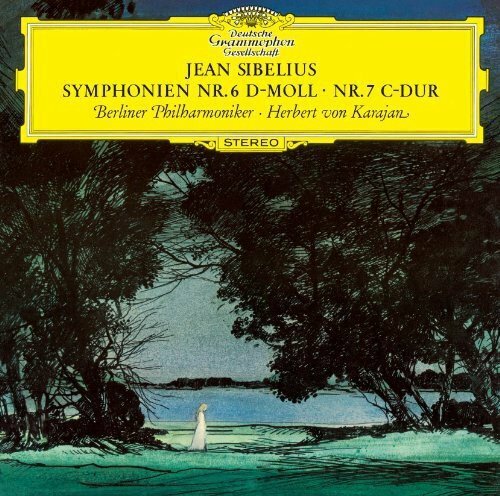 Would you be surprised to learn that I was not particularly interested in Sibelius until hearing his first symphony performed by Karajan (EMI)? Ever since then (and only 5-10 years ago), I have been much more interested in Sibelius. By the way, I have already ordered this! Glad you enjoyed it - and I enjoyed setting it out. Looking at that cover art - personally I try not to see this as 'nature music' but when so many record companies persist in associating images like these it becomes rather hard to ignore! That 2nd image by the way I think is more 'Symphony 6' than 'Symphony 7'. Many thanks for the organizing! So those incredible CRESCENDOS!!! were from Herr Karajan's baton! And Colin Davis! I remember buying his recording of the Second Symphony (1960's sometime) and finding it perfect! Thanks for running the comparison. I'm not too surprised that I didn't pick the Karajan, personally, as I explained before. My first exposure to Sibelius's symphonies was through Davis's Boston set (I liked them immediately), but I don't remember it well enough now to do comparisons. I wouldn't describe the Fourth Symphony as "problematic," though. Difficult perhaps, enigmatic certainly, but as perfectly crafted as any of Sibelius's symphonies, and my own favorite of the set. Amen! The First, Third, and Fourth do not get enough love! I have a Jarvi Third which is quite well done! I did not participate but I am shocked. Shocked that the scores look so right! Usually there's some shameful surprise! Overall I have a marked preference for that Karajan as a complete recording, but the Davis is great. I prefer Berglund's older EMI set to the newer one. Oh well the 4th is certainly my favourite of the seven as well. It just didn't lend itself very well to this mini-blind format (and I don't have quite as many recordings in my collection). I was interested to read today that Karajan never performed the 3rd - still less recorded it, the symphony was simply not in his repertoire. And the BPO had never played it, until Simon Rattle introduced them to it about 8 years ago. I conclude (just a wild guess, and he's not going to contradict me) that Karajan didn't really like any of the early symphonies. (In which case, I rather agree.) Perhaps, as a noted interpreter of the Tchaikovsky symphonies, he felt that early Sibelius hadn't really offered any progress over Tchaik. Rather like Boulez not conducting Shostakovich, becuse he felt the music was no advance over Mahler. Usually there's some shameful surprise! I did not participate but I am shocked. Shocked that the scores look so right! Usually there's some shameful surprise! e.g. "And #2 was...GILBERT KAPLAN! Well, then, put on an Ives disc at random! 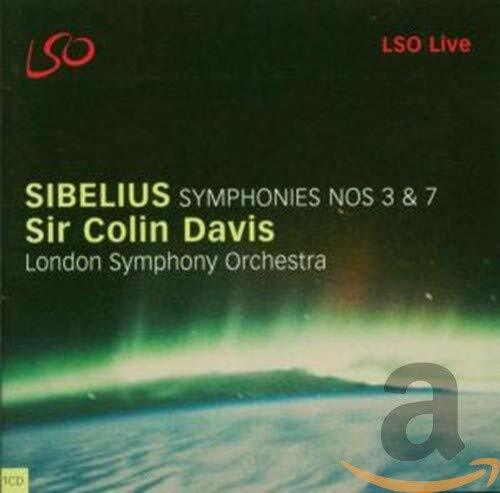 Re: Mini-blind comparison: Sibelius 7th Symphony + Ives Robt. Browning Overture! Which Ives? That's the unanswered question. I'm in the dark about that one. I just listened to the DGG Bernstein recording with headphones: one occasionally hears him breathing and "oohing" and "aaahing" especially toward the end. My objection from earlier stands, but not a bad performance overall.